A festival for everyone, regardless of age, religion or cultural background. For more than 20 years, this festival has celebrated the diversity of Australia’s multicultural society. Again this year, South Bank Parklands lights up with red happiness and peace lanterns reminding us of the importance of harmony on earth. 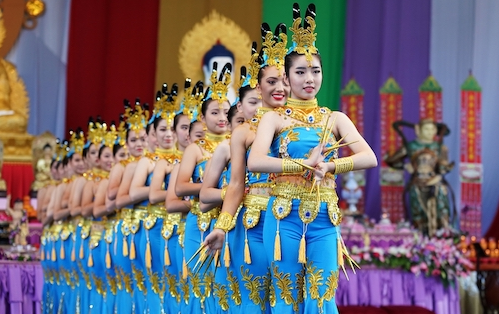 There will be multicultural performances throughout the day and fine vegetarian cuisine to help celebrate the birth, enlightenment and death of Sakyamuni Buddha, the Founder of Buddhism.